Sue Doherty Gelber is a New Englander turned Chicagoan now living in Colorado. She is a graduate of Amherst College and the University of Massachusetts, both of which are fine institutions and should not be judged on the basis of having Sue as an alumnae. She enjoys traveling, writing, and complaining about things, not necessarily in that order. Her author website can be found at suedgelber.com. Unfortunately, she has a history of signing up for sporting events that she’s not qualified to do. The casualty count so far: a Half-Ironman, four marathons, twenty-plus half-marathons (including two in January in Chicago – yes, outdoors), several triathlons, various cycling events, and even a swim race (a major lapse in judgment). There seems to be no known treatment for this sign-up-aholic disease. Please consider donating to find a cure. You are too damn funny! So glad you can let your voice be heard! Its about time the rest of the world hears how witty you are!!! I am hooked on your blog, although I need a thesaurus within reach when I read a new post! I think you should add “laughing” to what you enjoy in “about the author”. Your healthy laugh is contagious! you know i’d rather fight than switch (old cigarette ad from when i was young—you were not born yet) but i am writing this publicly because i know i will start a revolution. you need to write a book. every time i finish a chapter, i mean, “post”, i want to turn the page and keep reading. so get on it….and don’t tell me you’re too busy. run 10 miles tomorrow instead of 20!!!! Mary, That is so funny that your husband wrote a novel set in Flathead! What a small world – I look forward to reading it. Thanks for checking out the blog!! I’ve read two posts and am completely hooked. Look forward to seeing your tweets too! Thanks for stopping by the blog, Janice! I look forward to tweeting with you as well. I also have the sign-up-aholic disease!!! Another term for it: FOMO: Fear of Missing Out. I guess it’s one of the better diseases to have, compared to leprosy or Spanish Influenza. 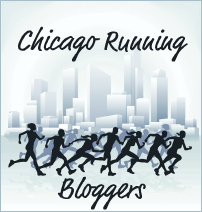 Hello from a fellow Umass-Amherst Alum living in Chicago that runs!